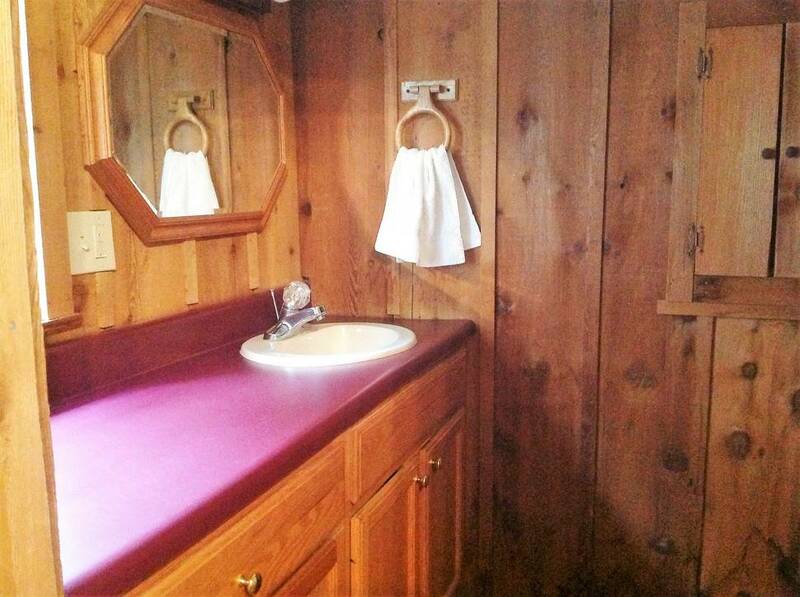 Studio cabin available in Timberwinds Resort. Simple but cozy cabin includes all of the amenities you could want on your vacation or weekend getaway. 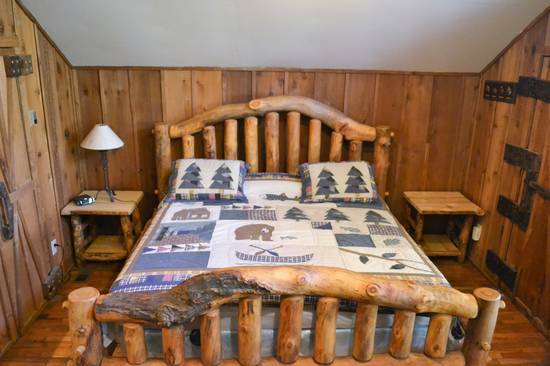 Makes a great place to stay for any couple looking for some rest and relaxation in the Great Smoky Mountains. 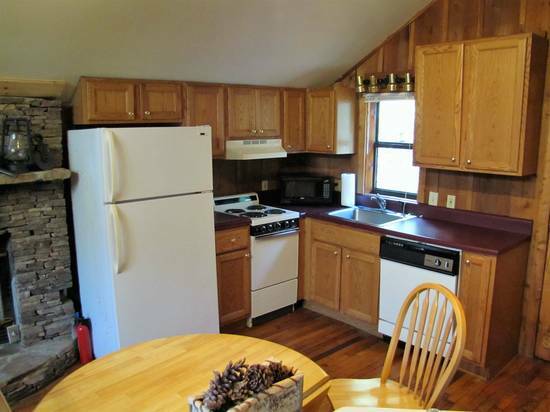 Cades Cove Hide Away includes a fully equipped kitchen so that you can cook a simple breakfast or romanctic dinner for that special someone. The bath room includes a stand up shower & vanity, The living area has a comfy sofa, coffee table and flat screen TV with satellite TV and DVD player. 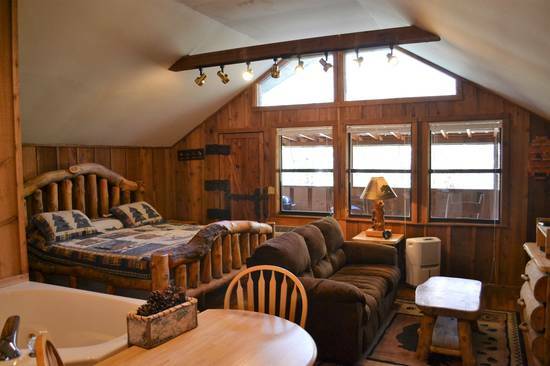 The cabin also includes free wireless internet so that you can keep up with home if you would like to. 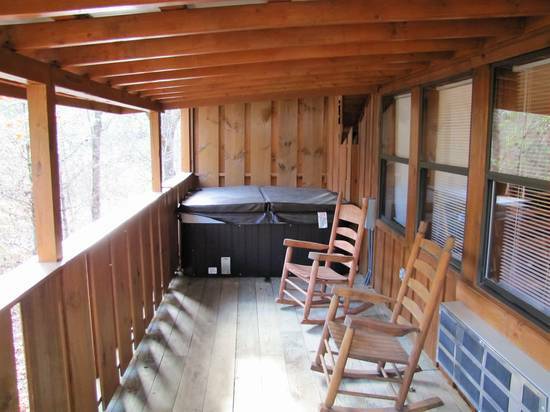 Outside you will find a covered hot tub and deck with rocking chairs. Great for that morning coffee or just sitting out in nature and ready a good book. There is also a BBQ grill for you to use. 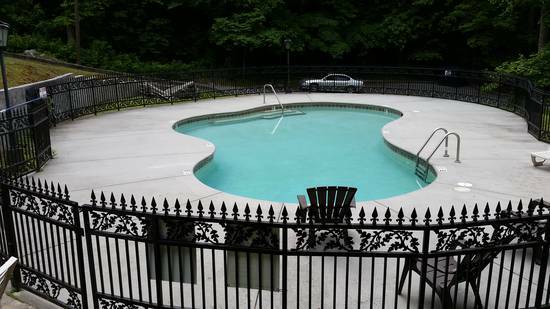 Just a block away is the Community swimming pool where you can relax and go swimming. This cabin was beautiful! It was perfect for a romantic getaway. It was clean and had everything we needed! I would definitely return. Delighted as aways. Had a wonderful time. Enjoy staying at this cabin. Nice to soak in the hot tub with the rain on the roof. 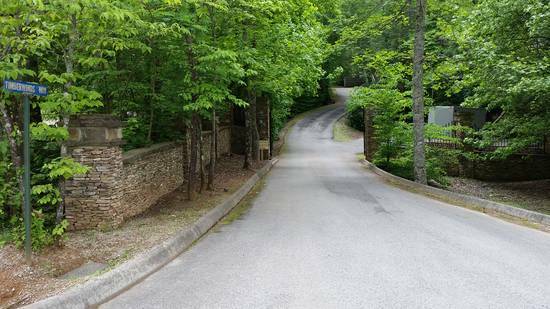 We enjoyed our time at Cades Cove Hideaway. 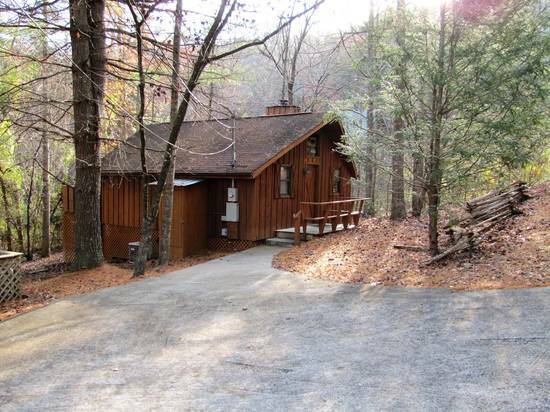 It’s convenient to the park entrance and is an inviting, cozy cabin. We especially loved the back deck & utilized the hot tub as well as the bbq pit. It was very relaxing to rock in the chairs while listening to the birds and the wind breezing through the trees. Cades Cove Hideaway is a very short walk from the pool, which rarely has anyone in it. I would recommend this cabin to couples who enjoy a rural and rustic vibe. One suggestion I have would be to get a mattress that is less firm- we found it pretty hard and not very comfortable. Nice, rustic cabin for two. Tiny shower, but the Jacuzzi and hot tub made up for it. 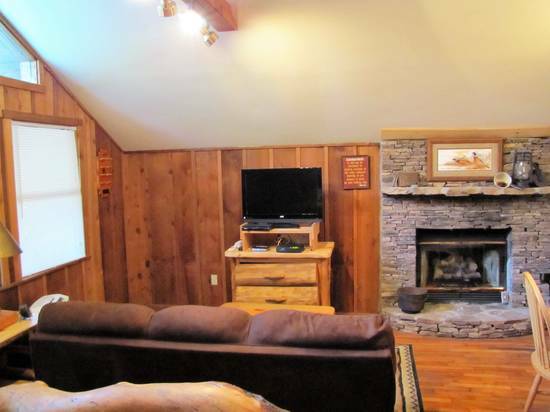 This was an older cabin with rustic charm. It was perfect for out weekend get-away. Everything worked and was clean. There were fresh clean towels and sparkling hot tub waiting for us when we got there. The entire experience was good. The cabin was clean and ready when we arrived. I would come again. My husband and I absolutely loved the cabin! Not as secluded as we thought but still have a good amount of privacy and never bothered by the neighboring cabins. We didn’t want to leave this morning but we know we’ll be back! Very clean and cozy cabin. 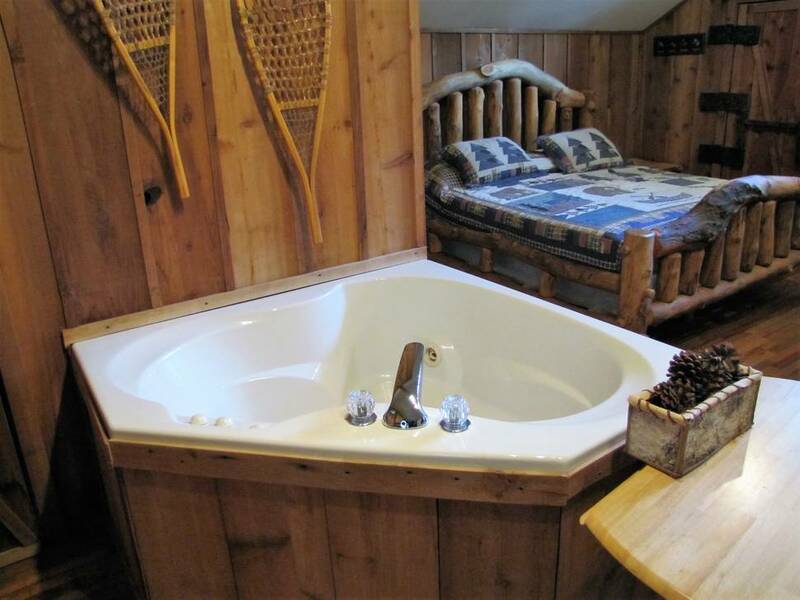 We loved the tub being in the room and the hot tub outside was a plus! Nice little cabin. The bathroom and the shower in particular could stand some improvement. Otherwise we would recommend to others. Management Response: Thank you for staying with us at Cades Cove Hide Away. The bathroom is somewhat small although very manageable. The cabin was clean and fairly comfortable. My husband and I would like to thank you for letting us enjoy ur little piece of heaven. Very sweet little cabin. Kitchen fully equipped had absolutely everything we needed for cooking. The bed was very hard. Other than that we absolutely had a great well deserved getaway. Thank you again. Management Response: We have now added a 3" memory foam topper to this bed. It feels so much more plush! Thank you for the kind review! It was nice and cozy!! Really enjoyed our stay. Cabin more rustic than online pictures, but that was fine with us. The house was very cozy and well located for quick access to the Smoky's and a grocery store. I loved the fire place and the Jacuzzi. The smoke alarm is super sensitive so beware when cooking in the kitchen. Fantastic! We really enjoyed our stay. This is a very neat cabin! Will come again! Nice Cabin. A Raccoon the size of a dog tried to get in the front door one night. I thought it was a bear until I looked out the kitchen window. It was a funny experience. Management Response: Thank you for staying with us. 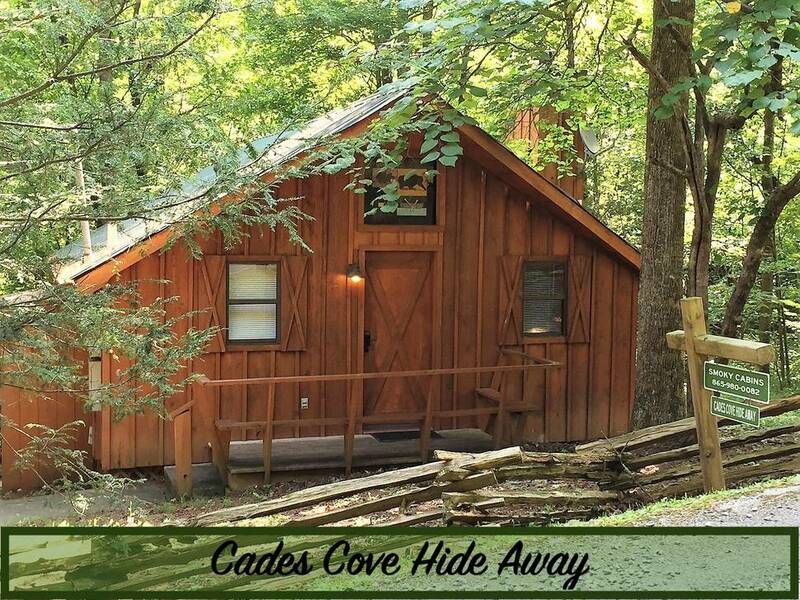 Cades Cove is a great little cabin and are happy that you enjoyed it. Great place to stay!! Very well kept, clean and secure. The bed is so comfortable that I wanted to bring it home. Great website, easy to book. Over all loved the cabin, where it sits, and the lay out. Could use some updating, counter tops, bed, and sofa. Close to town, with that far away feel. Close to Cades Cove, that’s what we come for! Management Response: Thank you for staying with us at Cades Cove Hide Away. We are so glad that you enjoyed your stay. The bed is somewhat firm but the mattress is pretty new. We may look at getting a memory foam topper for it. Thanks again!! Love Smoky Cabins, always great to deal with. 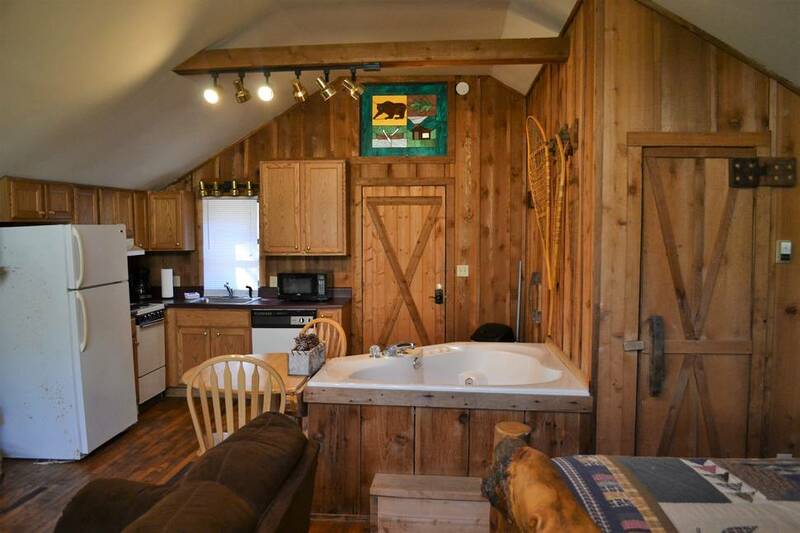 Nice location of this cabin, great for a little romantic getaway. loved the cabin and the location!!! 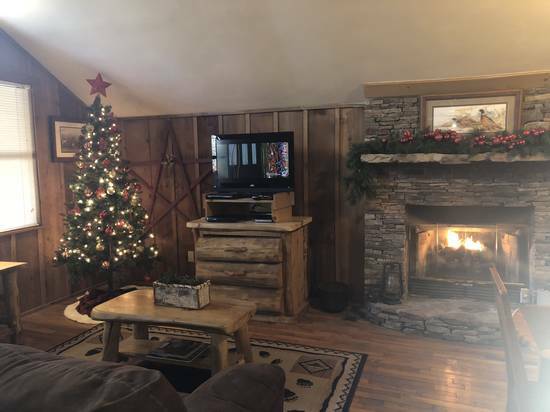 It was a lovely, cozy cabin, perfect for a quiet, recharge weekend away from our kiddos. Thank you. My husband an i needed a get away we stayed at cates cove hideaway. The cabin was absolutely great. The hot tub on back portch was the absolute best. Its was so perfect for what we needed jus a weekend away. My husband and I would like to thank you for letting us enjoy your sweet little cabin. The bed was very very hard but we were so tiard it work. The kitchen was fully equipped.towels were great. We absolutely will return in the future agine thank you for letting us enjoy your little piece of heaven. Management Response: We have ordered a brand new memory foam mattress for this bed so next time you visit, it will feel plush and comfy!! We enjoyed our stay at Cades Cove Hide Away celebrating our 10th anniversary. Everything was so nice we will definitely be back again. We enjoyed our stay very much in this small, rustic cabin. It was clean and stocked with everything we needed. 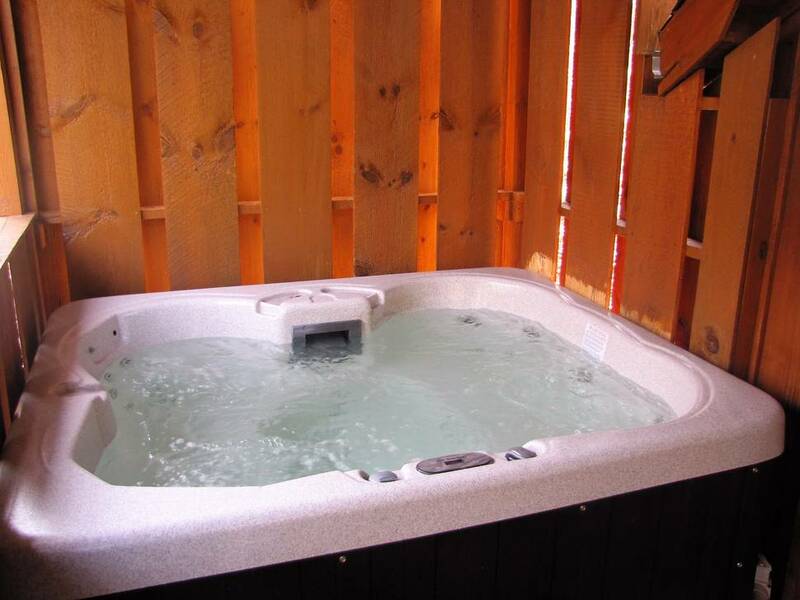 The hot tub was great after playing golf and the area is very quiet and relaxing. Nice little cabin perfect for a couple. Close to amenities and good country cooking restaurants. Everything you need is provided. Just visit the local IGA in town and grab your food to cook or grill! You will enjoy the indoor spa tub!